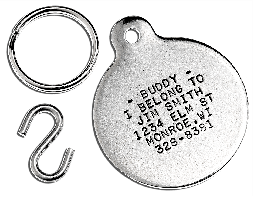 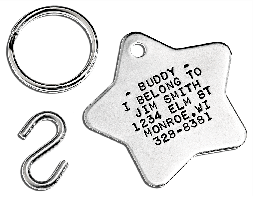 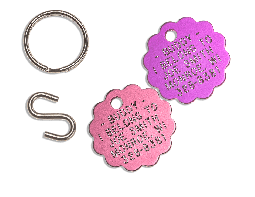 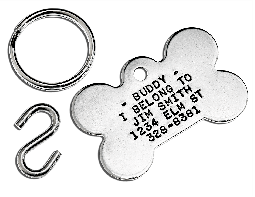 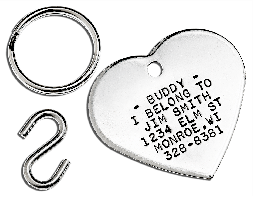 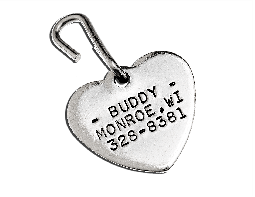 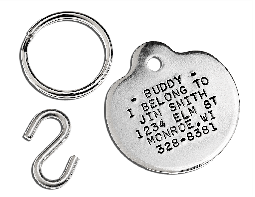 Our Stainless Steel Pet Tags are made from 304 Stainless Steel for durability, and are stamped with 1/16" characters. 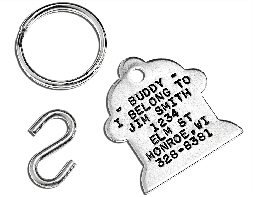 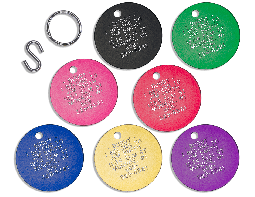 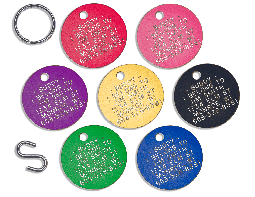 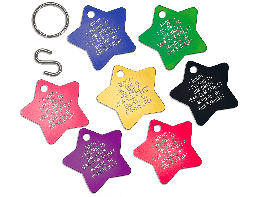 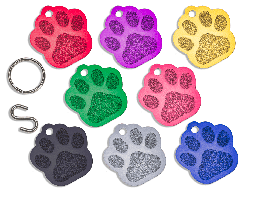 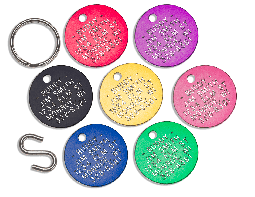 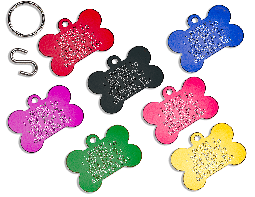 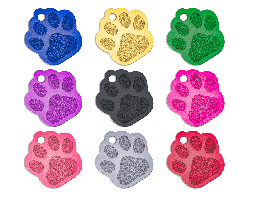 Our Aluminum Pet Tags are made from high quality anodized aluminum for bright, contrasting colors, and durability. 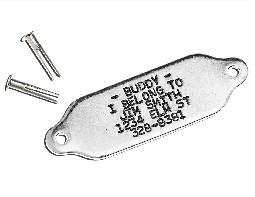 We engrave our aluminum tags with a diamond tipped engraver for great visibility.